Description Thank you for your interest in one of Matt Bowers Chevrolet's online offerings. Please continue for more information regarding this 2009 GMC Sierra 1500 SLE with 202,214mi. This 4WD-equipped vehicle handles any condition on- or off-road with the sure footedness of a mountain goat. With unequaled traction and stability, you'll drive with confidence in any weather with this Black 2009 4WD GMC Sierra 1500 SLE. The quintessential GMC -- This GMC Sierra 1500 SLE speaks volumes about its owner, about uncompromising individuality, a passion for driving and standards far above the ordinary. Just what you've been looking for. With quality in mind, this vehicle is the perfect addition to take home. 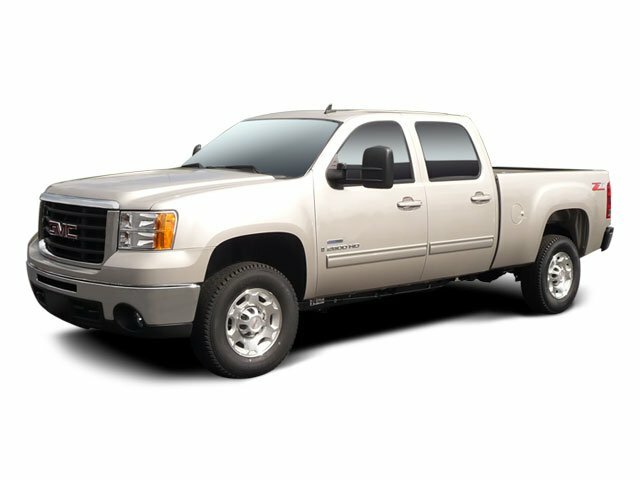 More information about the 2009 GMC Sierra 1500: To cater to the wide range of customers and their uses for full-size pickups, GMC is wisely offering two completely different interiors for the new Sierra, resulting in products that are both functional and luxurious. Prices are very competitive with other full-size trucks, and the new 6.2L Vortec V8, putting out 403 hp, outguns the Toyota Tundra's V8 as the most powerful engine in its class. With the highest tow rating among light-duty pickups (up to 10,500 pounds), and now with a new gas-electric drivetrain, the Sierra is very competitive among full-size pickups. This model sets itself apart with tow rating, interior appointments, Refinement, available luxury features., and fuel economy Lifetime warranty is a limited Powertrain Warranty. Owner must follow manufacturers recommended maintenance on new vehicles as per owners manual. Covers select pre-owned vehicles five calendar years old or newer, with 80,000 miles or less. Other restrictions apply. See dealer for warranty details. TEXAS EDITION includes (LY5) or (LH6) Vortec 5.3L V8 SFI engine (S84) 4 - 20" x 8.5" (50.8 cm x 21.6 cm) chrome-clad aluminum wheels (DL8) outside heated power-adjustable chrome-capped manual-folding mirrors (Z82) trailering package (A60) locking tailgate (PPA) EZ-lift tailgate bodyside moldings with chrome accents chrome door handles chrome liftgate bezel brushed nickel sill plates and Texas emblem badging.